Musings from Mount Helicon: Latest Jim Morgan Cover Reveal! Latest Jim Morgan Cover Reveal! 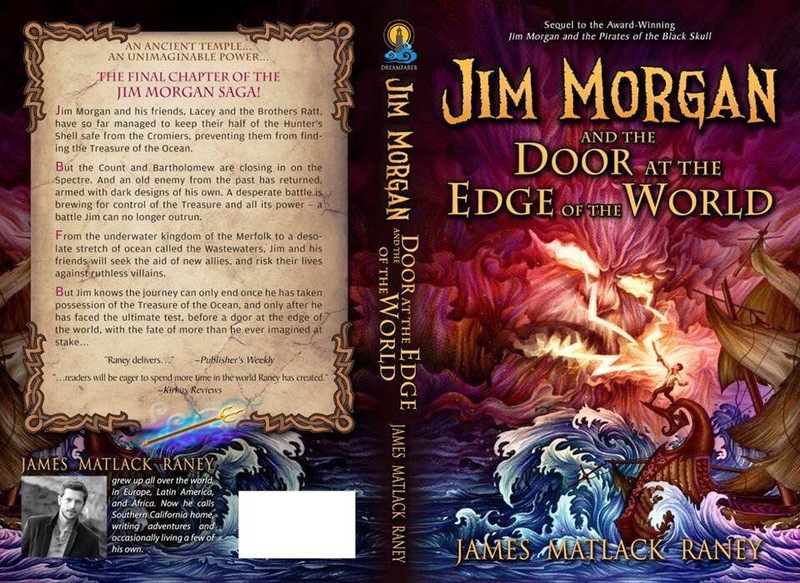 Jim Morgan and the Door at the Edge of the World is the climactic follow up to the IndieFab Book of the Year Finalist, Jim Morgan and the Pirates of the Black Skull, and the final chapter in the Jim Morgan series. Check out the first two books HERE, and look for Door at the Edge of the World in Fall 2014. James Matlack Raney grew up all over the world, in Europe, Latin America, and Africa. Now he calls Southern California home, writing adventures and occasionally living a few of his own.